Craig and Renée’s church is one of those exceptional places where you feel welcomed among the general throng. It’s obvious that I’m not the only one who feels comfortable there, because both morning services (8.30 and 10.30) are bursting at the seams and the church is planning extensions to cater for their growing numbers. The Harveys are quite involved in their church family, volunteering their time for a range of activities and responsibilities. 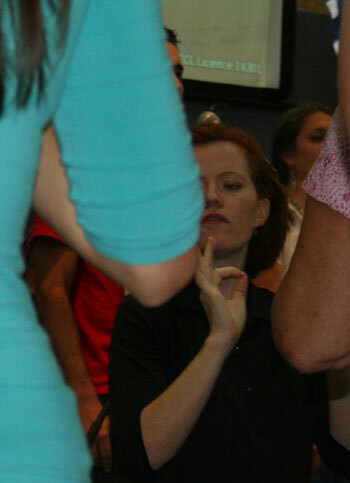 Renée is interpreting the song into AUSLAN, the language of the Australian Deaf. She completed an advanced level of training and is now a certified interpreter, so she volunteers her skills at church. 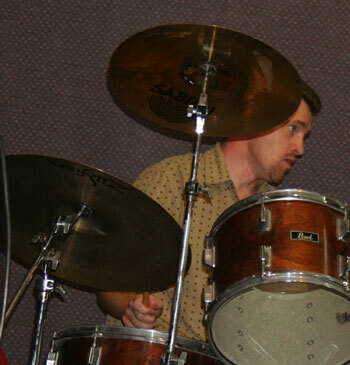 Craig is a fantastic drummer and plays at church. He has given lessons in the past and is waiting for Keegan to be old enough to learn properly. If you’re in Perth and wanting a church, definitely give WBC a visit!